Download Freeware Board Games from here! 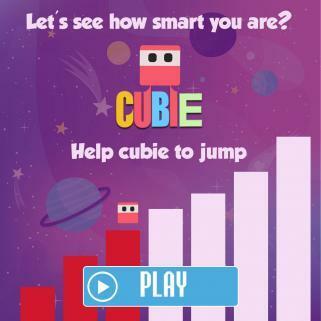 Jumping Cubie is an entertaining, addictive, and brain teaser game. In this tap to jump game, you will have to fully concentrate with your thumb, mind, and eyes in full action to help the little cubie take short and long jumps to move from one step to another. ✅ Play this addictive game free online. ✅ If the cubie stays for more than 0.2 seconds on one slab, it will fall. ✅ Report your high score to the leaderboard. Kill your free hours with some entertainment by playing our jumping cubie game and challenge your friends for beating them with your highest score. You will need a registration code for this application, click here for more information. Many thanks to Jacek Rutkowski from MS Mobiles, who now owns the Orneta applications, for allowing their inclusion in our database. Having problems selecting 6 numbers for your winning lottery ticket? Well, this little application will help you to pick 6 lucky numbers! This little program does not include any install procedure, just unzip the file and copy the exe to your SmartPhone.